Powder Pouch® the easy way to brush off sand! Buy Now. Whether you’re surfing, on the beach with friends, or with little ones, Powder Pouch will brush off sand to keep you comfortable. The Powder Pouch was created by a fifth-generation beach family who love the sand, but didn’t want to bring it home! Directions: Pat the powder filled pouch a few times to release the powder. Gently rub against the dry sandy areas of your skin. Sand easily falls away leaving you feeling smooth and comfortable. Fold and store in drawstring carrying case. Product Care: When cotton applicator is empty, machine washable. Tumble dry low. Refill with your favorite powder. Use damp cloth to wipe clean carrying case. Check out Powder Pouch, the ultimate beach bag must have! Powder Pouch keeps the sand out of your house. Great way to freshen up after a challenging hike! Whatever sport you play Powder Pouch keeps you smooth and comfortable. The easy way to freshen up wherever your destination may be. Not always time for a shower. Powder Pouch will make you comfortable after a good workout. A great way to brush off saw dust, insulation or any other uncomfortable particles while getting the job done! Keeping you comfortable while staying in shape. Bottled powder makes a mess! With Powder Pouch you only use what you need. © Copyright 2019 Powder Pouch LLC. 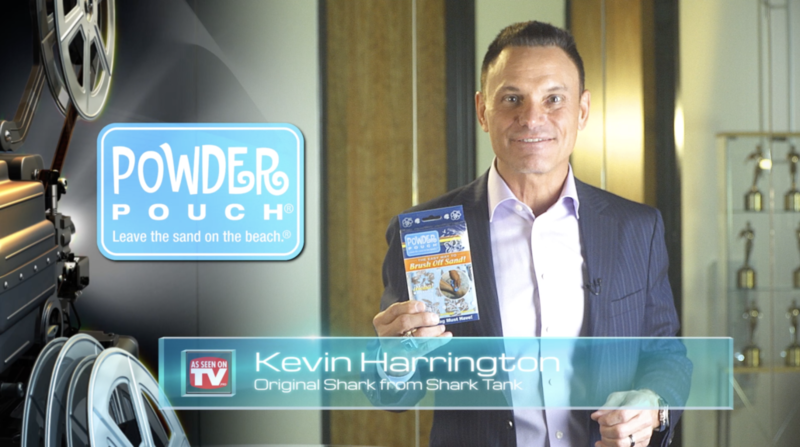 Powder Pouch® and "Leave the sand on the beach.®" are registered trademarks. All Rights Reserved.